The thought leader in research for membership associations. 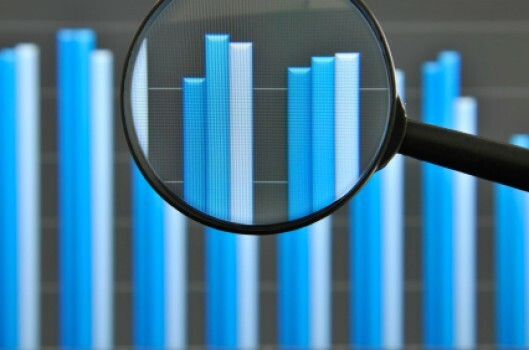 Association Metrics has developed several analyses unique to the membership association industry, including an analysis that measures and identifies captive members - those members who feel compelled to renew their membership in spite of low perceived value for their membership dues. Every association has a mix of members who have a strong, moderate or weak relationship with the association. The strength of a member’s relationship with the association affects his/her engagement, participation in association conferences and programs, and his/her likelihood of renewal. Our member loyalty analysis calculates your mix of loyal, neutral, and vulnerable members, and identifies which members fit into each category. This identification process enables you to hone your marketing efforts to attract new members who exhibit the characteristics of your loyal members, to improve your association in ways that will strengthen the relationship with your neutral members, and to target your vulnerable members with intervention tactics to minimize member defections..
Members belong to associations to satisfy a variety of personal and professional needs. The reasons why members originally joined your association may not be the same reasons they currently belong. Members’ needs change over time as their careers evolve. Our member needs analysis uncovers the dominant reasons why your members belong, and what motivates them to renew their membership. This will enable you to enhance the value of your membership by developing programs and benefits within the framework of your mission and business model that address the changing needs of each major segment of your membership. Association Metrics can provide a comprehensive assessment of every component of your value proposition (e.g. member benefits, conferences, continuing education, publications, advocacy, website, etc.). The association performance analysis reveals the components that are the key drivers of membership value, measures the current performance of these drivers, and produces a measurable and manageable plan that will enable you to improve your association in ways that will have the greatest impact (ROI) on member loyalty and retention. Association Metrics uses a combination of multivariate statistical procedures to determine which of your current benefits are meeting the needs of your members, and which benefits should be improved. Each benefit is plotted on our Improve/Maintain matrix that makes it easy for your board or senior leadership team to prioritize the benefits that need improvement, without requiring an in-depth understanding of statistics. Members often have a low perception of the value of their association’s benefits because they are not fully aware of everything that the association has to offer. The benefits awareness analysis not only measures the awareness of each of your benefits, but also measures the usage by those members who are aware of the benefits. This enables you to promote those benefits that are low in awareness, and modify or replace those benefits that are low in usage. Some problems can severely weaken the relationship between a member and the association, while other problems are merely excusable nuisances. Our problem analysis uncovers the sources of problems, determines which types of problems typically go unreported, and measures the impact that problems have on the overall association/member relationship. This enables your association to allocate your limited resources to preventing major problems from occurring and to resolving minor problems after they have occurred. While most association members belong to an association because they believe they are getting sufficient value for their membership dollar, some members feel compelled to remain a member in spite of their perception of low value. Association Metrics has pioneered an analysis that identifies these captive members. Associations who offer a benefit or service that is a requirement to practice in the profession (e.g. certification) usually have higher levels of captive members, but any association can have captive members. By understanding the causes of captive membership and identifying the characteristics of captive members, associations can develop programs and benefits to lessen the number of these disgruntled members. Association Metrics routinely surveys individuals who have decided to allow their membership to lapse. The analysis examines the characteristics of lapsed members to determine their reasons for leaving, as well as to identify the characteristics that differentiate lapsed members from current members. Associations are then able to target current members who exhibit the same characteristics as lapsed members with appropriate intervention programs, as well as addressing any deficiencies that contribute to member defections. The non-member analysis is used to understand why individuals who are in the association’s target market choose not to belong to the association. This analysis examines non-members’ perceptions of the association, uncovers the reasons why individuals have not joined, and measures the likelihood of their joining. Associations could not provide a valued experience to their members without the assistance of qualified, dedicated staff who understand members’ needs. Our staff analysis measures the degree to which your staff is in-tune with your members, enabling you to focus your staff training and boosting staff morale.